SUDBURY – The United Steelworkers (USW) welcomes criminal charges against a Sudbury company and its owner in relation to a worker’s death in 2017. “The criminal investigation and charges validate our union’s campaign for greater enforcement of the Westray amendments to the Criminal Code. We hope the charges will be prosecuted as soon as possible,” said USW Ontario Director Marty Warren. “We have lobbied for several years for stronger enforcement of the 2004 Westray Law that was intended to hold corporate directors, executives and managers criminally accountable for workplace death and injury,” Warren said. Rheal Dionne, 39, an employee of Rainbow Concrete, was killed on Feb. 15, 2017, when a concrete slab fell on the dump truck he was operating, trapping him inside. Rainbow Concrete owner Boris Naneff has been charged with criminal negligence causing death. The company also faces the same Criminal Code charge. The Ontario Ministry of Labour has laid 12 charges under the Occupational Health and Safety Act against Rainbow Concrete, its owners and two supervisors in relation to the fatality. Rheal Dionne is survived by his wife and their son, as well as his parents. Rheal’s father Julien Dionne is a retired USW member in Sudbury who was a lifelong workplace health and safety activist. 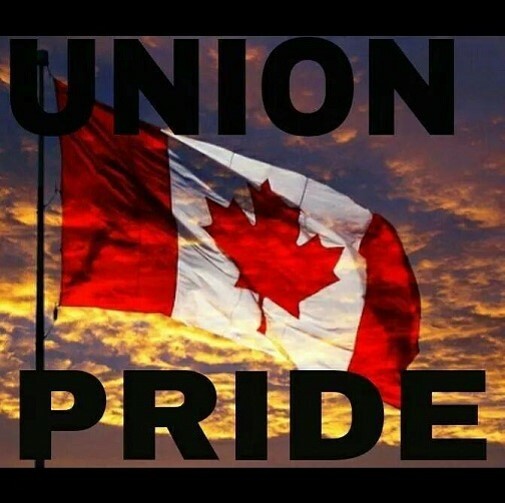 USW Local 6500 in Sudbury has been supporting the Dionne family and has offered representation to the family for the criminal prosecution process. The union also has worked with Sudbury police on awareness and training issues related to the Westray Law. “We commend the Greater Sudbury Police Service for conducting a criminal investigation into this tragedy and for proceeding with Criminal Code charges,” said USW National Director Ken Neumann. “There have been more than 10,000 workplace-related deaths in Canada since the Westray Act was enacted and there have been very few criminal convictions and even fewer jail sentences for employers responsible for these deaths,” Neumann noted. “Unfortunately, police officers in Canada are still not trained and directed to properly enforce the Westray Law. Our union and many allies across the country will continue with our national campaign to demand that the Westray Law is enforced to the greatest extent possible,” he added. The USW campaign, Stop the Killing, Enforce the Law, calls on provincial and territorial governments to implement specific measures to ensure greater enforcement of the Westray Law. For details on the campaign, visit www.stopthekilling.ca. The USW also is calling on the new Government of Ontario to do more to hold companies and their directors accountable for workplace death and injury. “The Premier and his Attorney General and Labour Minister must initiate protocols and training for prosecutors and law enforcement to ensure enforcement of the Westray Law. These are critical investments that are needed to ensure safe and healthy workplaces in Ontario,” Warren said. This entry was posted in Uncategorized on July 31, 2018 by greybrucelabour. The Ontario Federation of Labour and the Grey Bruce Labour Council are making an urgent request for solidarity. The nurses, clerical and custodian staff at the Owen Sound Family Health Organization, who are part of OPSEU Local 276, have been on strike since May 22nd. They are striking because of low wages and unfair working conditions and are demanding equal pay with other similar organizations. Some of these healthcare providers earn as little as $14 per hour. The employer has hired scabs and has become verbally disrespectful to the striking workers. The atmosphere is increasingly toxic. OPSEU has launched a campaign to support these courageous members to help win the strike and affiliates from local area unions have been bolstering the lines. However, more solidarity support is needed. Any support that labour councils can send will make a difference. Specifically, the workers are asking for financial support and solidarity in the form of people. · Join the picket line: 1415 1st Ave West, Owen Sound, anytime from 8:00 a.m. to 3:30 p.m., Monday to Friday. For more information on the strike visit the OPSEU website link here: https://opseu.org/fho and follow this and other ongoing labour actions across Ontario at http://ofl.ca/labour-disputes/. If you have any further questions, please contact Melisa Bayon, Director of Political Action and Outreach at mbayon@ofl.ca. Grey Bruce Labour Council/Unifor Labour Day Parade and Celebration, Sept 3rd. This entry was posted in Uncategorized on July 24, 2018 by greybrucelabour. A delegation of striking health care workers and their patients has asked Owen Sound City Council to demand that the owners of the Family Health Organization keep nurses and trained clerical workers on staff. “It’s the Wal-Mart approach” to health care, said 91-year-old Sylvia Moss on the news website Blackburn News. “People in Owen Sound and surrounding area really should have quality health care,” said striking Local 276 member Kiff Harvey, an RN. Deadline, August 1st. Apply for the 2018 OFL/AIL Labour Post-Secondary Scholarships today! The OFL is proud to be joined in partnership by American Income Life (AIL) Canada in calling for applications for the annual OFL/AIL Labour Post-Secondary Scholarships. Two OFL members, or the children of members, will be selected from a pool of applicants to each receive a scholarship in the amount of $2,500 to support them as they enter their first year of full-time post-secondary study in September 2018. The scholarships will be awarded in honour of distinguished trade union activists who have made a significant contribution to the life and growth of the labour movement in Ontario. • Be currently enrolled or not more than two years out of secondary school. • An original essay, poster, or video submission on the topic outlined in this year’s application package. • A brief résumé outlining non-academic interests and activities, such as community or political involvement as well as goals for the future. • Evidence of understanding the role and significance of the Canadian labour movement. The deadline for receipt of applications is August 1, 2018. An Application Form is attached below. This year’s scholarship winners will be announced in late August/early September 2018. The OFL is committed to social justice and equity and believes strongly that post-secondary education provides important opportunities that should not be limited by tuition fees or student debt. We hope this scholarship helps make education more affordable while we fight to make access universal. We proudly encourage women, people of colour, Indigenous peoples, LGBTQI* people, people with disabilities, and those from other equity-seeking backgrounds to apply for this scholarship. The OFL represents more than one million unionized workers in Ontario from 50 affiliated unions and is proud to have the support of AIL Canada, a 100% union company that is a leader in providing supplemental insurance benefits. For more information on AIL Canada, visit: www.AILife.com. Please circulate this call for applications to help ensure that these scholarships are made known as widely as possible. This entry was posted in Uncategorized on July 22, 2018 by greybrucelabour. This entry was posted in Uncategorized on July 18, 2018 by greybrucelabour. Global News reports that Warren (Smokey) Thomas has called on Premier Doug Ford to take action with regards to the ongoing strikes of health care workers in Owen Sound and Thunder Bay. This entry was posted in Uncategorized on July 17, 2018 by greybrucelabour.